This month's "Painting of the Month" is also on video! 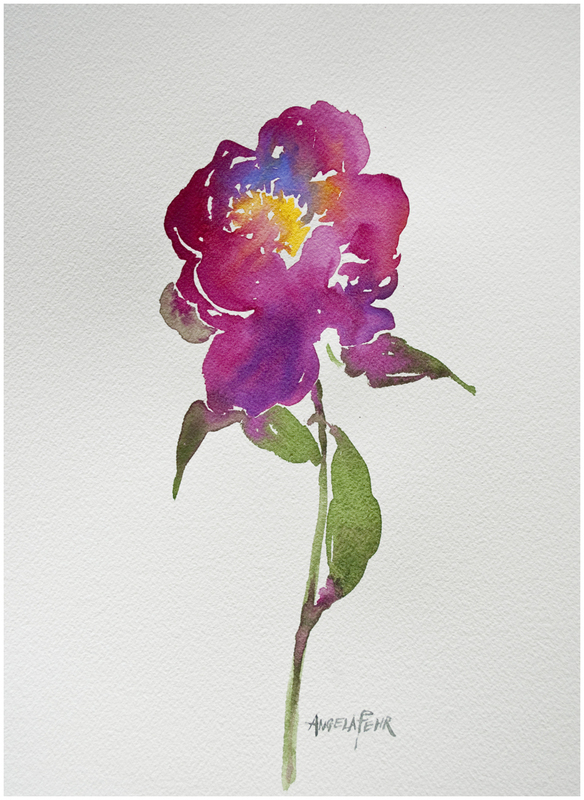 I painted "Single Peony" as a demonstration in fluid, one layer watercolour painting and I just love its simple elegant beauty. You can order 9" x 12" prints of "Single Peony" until August 20th for $39 USD plus shipping. After August 20, 2015, prints will no longer be available. If you are interested in purchasing the original painting, it is available as well. Please contact me for a purchase consultation.